Maybe you can talk about 24L01+ and Ethernet communications? Do you have this Beans? do you mean the 24L01 from Nordic Semiconductor? No, I do not have beans for this one. I do have an Ethernet Shield, but had not much time to work on it. It will be one of the next things for sure. Ouch… Fastest answer i`ve ever seen! Yes. I am talking about the Nordic Semiconductor 24L01. Maybe this can be a really cheap solution to control a freedom board from another freedom board wirelessly. Other thing is to control a freedom board through the intranet. I am waiting for your new posts. Thanks for this excellent job you are doing. yes, that Nordic module is really interesting, altough I do not have one (yet). The HC-06 Bluetooth one (or the HC05) are really cheap: less then $10, and at least the HC-05 one can be used to control another FRDM board. I think we can control a lot of Freedom boards simultaneously with the 24L01+ but we cannot do this with bluetooth devices. Right? Yes, doing this with the HC-05 probably is not easily possible. For the use case you describe I’m using an IEEE802.15.4 module which can build up star or mesh networks. These modules are really cheap at (http://yourduino.com/sunshop2/index.php?l=product_detail&p=188). I have bought from them and the parts were very reasonable and shipping was good too! they are *increcibly* cheap, thanks for the link. I guess will order a few to try it out. Once concern I have: the derivers I have seen are all GPL2 which is a concern. Have you seen (or using) LGPL or BSD style drivers or stacks? Otherwise it looks I need to develop everything from ground up which is not ideal. No I haven’t seen LGPL or BSD stacks but I haven’t been looking that hard. There is a library at (http://arduino-info.wikispaces.com/nRF24L01-RF24-Examples) which may be something you can leverage. yes, I already found that library, but it is GPL2 as well, so not very usable for anything than true hobby projects. Maybe you can use this for anything. I start to dig any reference for 24L01 and BSD. thanks for the link. Good information. I think this can be useful too. yes, this one is about what I was looking for, thanks! I got some experience with one of these modules on a project. I think they are all more or less the same, but for the firmware (as you point out). The circuit is a CSR reference design. The CSR chip is based around a core architecture developed at Cambridge university. You can get the development tools from their web site (easy to find), and develop your own firmware for the module. I never got so far as to download all that, not sure about what the cost is etc. I would guess there is a reference design for the firmware as well, which is what all of these different firmware versions would be based upon. yes, I have found the article from Byron (http://byron76.blogspot.ch/2011/09/hc05-firmware.html) which points to the CSR site. I have registered and downloaded the tools, but not done much with it. I did not know that this has been developed at Cambridge, which is interesting. You have done a very good job by creating a component like this. Two weeks ago, I have bought a BC04 bluetooth module from ElectroDragon (which is a little bit different from HC05 or HC06 as firmware) and this thing involved, for me, some changes into your component source code. “Bluetooth_EBGT” component project. The problem with that is caused by the fact that I cannot import very well your project, because when I try to edit the source code of a method I get the following error : “Source Code missing in default driver. It could be present in a prg.”. I don’t think I have seen that error myself, so not sure what is causing this? Maybe you could email me your changes/source code and I’m happy to have it incorporated into the Processor Expert component. Send it to the email I have listed at the end of the ‘About’ page of this blog. Thanks for contributing to that project! Ok. Then, I think that I will send it tomorrow, because today I want to do some other tests. thx a lot for showing the differences between HC-05 and HC-06 module ! I happened to get my HC-06 work with a Trust USB-BT dongle and WinXP32. Just shortcut the Tx/Rx on the module and used Comport Toolkit as a terminal to see the looped back chars. If longer blocks of data are sent the delay decreases to somewhat 90msecs. But that’s all for the good news. The HC-06 does not establish working mode (steady LED) when I use my lenovo T500 with win7-64. I can connect the device, send pairing pin and two successive COMxy ports are shown in device manager. But the first where the SPP is assigned to can not be accessed by my terminal programs and the LED on the HC-06 keeps flashing indicating AT mode :(. Same situation with my Galaxy-S2 GT-i9100, it finds it, pairing pin input but HC-06 stays in AT mode. Has anyone an idea or solution about that ??? I had some problems with another notebook, where I was not able to establish connection: here it helped to re-install the drivers on the notebook as explained in the article. On another notebook I used a cheap bluetooth dongle (under Windows7 64bit). I never got it working to connect to the bluetooth module, while it worked on another machine with XP. So I just make the guess that there might be a similar problem in your case, but with the internal bluetooth module? It might be worthwile to try an external bluetooth module? With Android I’ve got it work. After inputting the pairing sequence on the phone the HC06 stays in AT mode but if my app runs it connects and switches to SPP mode :). Hmm, yes, this is true on Windows too: only if I connect to the COM port with my terminal, it changes from AT to transparent mode. I thought I had mentioned this, but probably not bold enough….. Yes, I have the same: one of the ports is ‘dead’, not sure why. But works on the other one. you mean to have a connection from the host PC to two modules the same time? yes. To pair two HC-06 modules to each other: no. what kind of error message do you get? I tried again my example on GitHub and it works fine for me. Have you loaded the latest Processor Expert components from GitHub too? It looks like it is an issue with the shell, and maybe you are using an older version of the code/components? fix the error, I wanted to ask you for help with the command line interface, as you do to get the settings? because it recognizes the port but when writing AT commands nothing happens. If you could help me or pass me your mail. Thanks in advance. 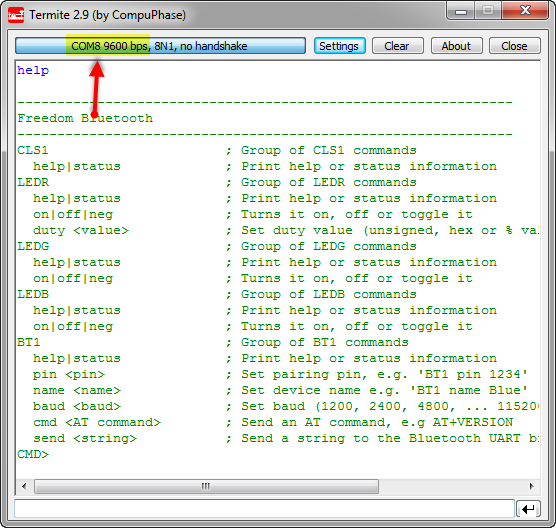 If nothing happens if you write AT commands, this typically means that the Bluetooth module already has been connected to the PC host. If the module is connected, then the LED is on (compared to be in blinking mode if not paired, where it accepts AT commands). Another reason for the AT commands not working is a wrong UART baud configuration. By default the modules operate with 9600 baud. Please verify with a logic analyzer if that baud is used. I hope this helps? i am presently working on a project that requires microcontroller to microcontroller wireless communication. i was wondering if we could do this using 2 BLUETOOTH hc06 or hc05, by simply interfacing 1 of the modules with the transmitting microcontroller and interfacing the second with the receiving microcontroller. i have been able to pair my HC06 module with laptop and mobile. 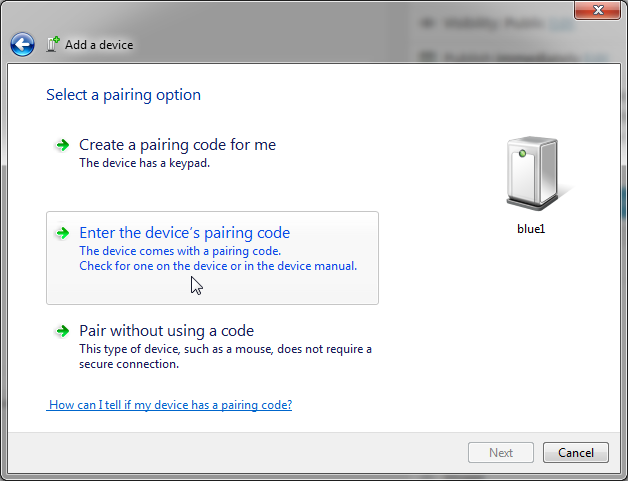 when i use a laptop on 1 end i simply have an option to enter the pairing code into my laptop but while working with 2 bluetooth modules the problem i am facing is how do i enter the pairing code. the HC-06 only can be slave, so you cannot connect two HC-06 with each other. It should be possible to connect a HC-06 with a HC-05 in master mode, but I have not tried this yet. I have HC-06, and I need to change data bits 8 to 7 (required for my application). I cant find any info about setting data bits. Maybe you know something about that.. is it possible? Yes, some microcontrollers can configure the UART to different than 8bits (e.g. to 7 bits). To my knowledge this is not possible with Kinetis. But I have not checked deeply on this. are you using my example from GitHub? From the shell output it looks like you have not added the command line interface to the Bluetooth module, as it does not show up with help. 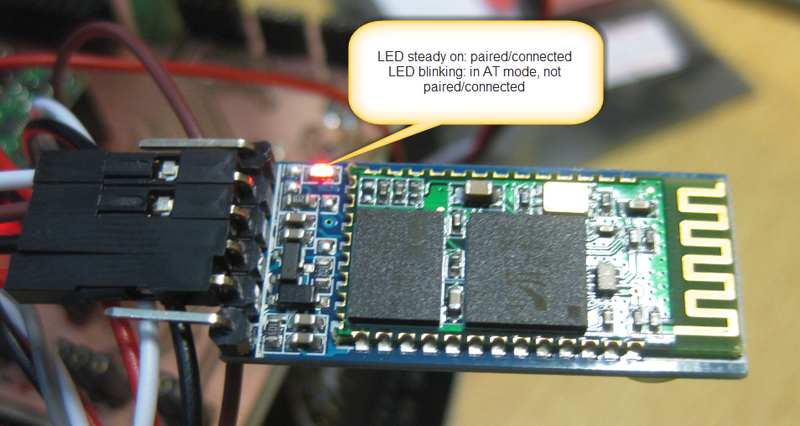 Be aware that if the HC-06 LED is not blinking, the module already connected to a host, and it does not accept any AT commands (the AT commands are sent to the host). That was great, but I have a question, Can my PC connect to more than one module. I want to create an app in the PC that monitor many bluetooth modules at the same time. yes, you can connect to many modules with your PC. They will show up with different COM ports. It is the ‘Follow’ button below the RSS feed link on the right side of the page. Thanks for sharing the result with such great detail. I’m planning to use this bluetooth module with Arduino Pro Mini 3.3V model – in this case, the logic level would be needless, right? yes, the module operates with 3.3V logic levels. You just need to be careful about the supply voltage. My modules say 3.6V-6V, but I was able to use them with 3.3V without problems. That might depend on the module. I still haven’t got HC-06 but quickly tested an HC-05 (also marked with 3.6V-6V) with the Arduino. They both are well integrated. I wonder if you can assist with my little challenge? My project is to provide a wireless connection between a racing yacht’s Nav computer (a B&G Hercules Performance Unit) and my Android phone using my HT-06 (Ver 1.06). To build up some expertise, I’m practicing at home by trying to get the connection going by connecting the HT-06 to my Garmin GPS72 handheld GPS receiver. I’m bluetoothing to the HT-06 with my laptop and a cheap USB dongle using a good terminal emulator (Reflection). When connecting the GPS72 to the laptop with a cable, it comes in on USB at COM04 and my terminal emulator happily talks to it at 4800 8/None. I know it’s because I have an incompatibility in comms protocols and have tweaked the terminal through speeds and parity with no joy. I suspect I have to configure the HT-06 to use 4800 8/N, but not having the connectors to connect the laptop to the HT-05 I’m not able to tweak the coms speeds from the laptop, so I’m wondering if it is at all possible to send AT commands from the laptop to the HT-06 over BT? thanks for your kind words :-). As for your question: you cannot send AT commands over the air to the Bluetooth module: if it is connected, it is in transparent mode and will send the incoming data to the other side (so you cannot reach the Bluetooth controller with AT commands). As for the protocol errors: can you hook up a logic analyzer on the serial signals to see what is going on? That would give a clue if the baud is somewhat wrong or outside the spec, if parity/etc is used. And thanks for your prompt reply. It’s as I feared. Odd, eh, that they design a slave module – presumably to connect to a dumb device, that can’t be configured by the master. One more question, if I may. When I do get to set the comms protocol with an AT command, say AT+BAUD3, does that setting persist over a power reset? i.e. can I set it in the lab, and then rely on it in the field? Yes, the settings persist in the device. I suspect I have a faulty device (HC-06 Ver 1.06), and being a software guy, a class world-renowned for unfairly blaming the hardware, I have tried to be thorough in my testing. The final clincher for me is that when I send AT commands over the serial port I get no response at all. I have a breakout board on the serial line and can see the RX line flash its led. I am using 232Analyzer to send data 9600 8 N 1 and am sending AT. I have read the HC Serial Bluetooth Products User Instructional Manual, http://www.exp-tech.de/service/datasheet/HC-Serial-Bluetooth-Products.pdf which seems quite straightforward if a little confusing. And I’m still receiving corrupt data over the bluetooth connection when sending ASCII at 9600 8 N 1. Before I send off for a replacement, is there anything else that you know that I can try to talk to my baby? If the HC06 is flashing, then it is not connected to the PC. You really would need a logic analyzer like the Salae one so you can inspect the bits and bytes on the line. Maybe something is wrongly configured on your side (baud? ), and only with flashing LEDs you will not see it. I’m a software guy too, but developing software for hardware means a scope and a logic analyzer is key. Without it, it is like programming without a PC monitor :-(. I am using an HC-05 board (found on eBay http://www.ebay.com/itm/150843209961?ssPageName=STRK:MEWNX:IT&_trksid=p3984.m1497.l2649). I am trying to configure it using the AT commands. This can only be done using the physical serial connection to the PC, is that correct? I believe I managed to get the board into configuration mode using the KEY pin, since the LED now blinks differently. However, when I use Termite to send AT commands (simply with AT\r\n), the board responses with things such as: x, then xÅr\n, then Ap\ûpÿ, etc every time I resend the AT command. I guess it could be some problem with the coding of the commands such as wrong font… But still I don’t understand why it responds differently to a unique command. Can you help? Thank you in advance! this does not sound like a font problem. Can you hook up a logic analyzer to see what the module really responds? It very well could be that this module is not a HC-05 one, but a different one with different firmware? I have concluded that the HC-06 device does not conform to RS232 standards. I have spent 6 weeks messing with it ( well, 2 separately purchased boards) connected to my PC (XP and W7) using some pretty clever terminal emulators (realTerm, Commfront 232Analyser, Reflection ) and I have concluded that it doesn’t generate the 10 bit per character (start, 8 bit data, stop) syntax defined by RS232. I was unable to get it to respond to an AT command, nor could I get it to transmit text at its default speed of 9600, N 8,1 or any other combination. All the folks successfully using it are using Arduino. I haven’t found anyone using it successfully in conventional RS232 PC mode. I have thrown them away and spent $125 on an older but functional RS232 to Bluetoth adapter. It’s pretty clunky, requiring a PC Utility to configure it, but it works! Thanks for the reply. I don’t have a logic analyzer. I have tested somewhat further and I have noticed that using Termite, when I change the baud rate to a lower value, I get a response identical to what I send to the device. If I put a higher baud rate, I start getting all this nonsense… Also, I should mention that I don’t have a serial connection on my computer, so I make use of a RS232 to USB converter from Logilink. So the baud rate which I change is probably the baud between the PC and the converter. 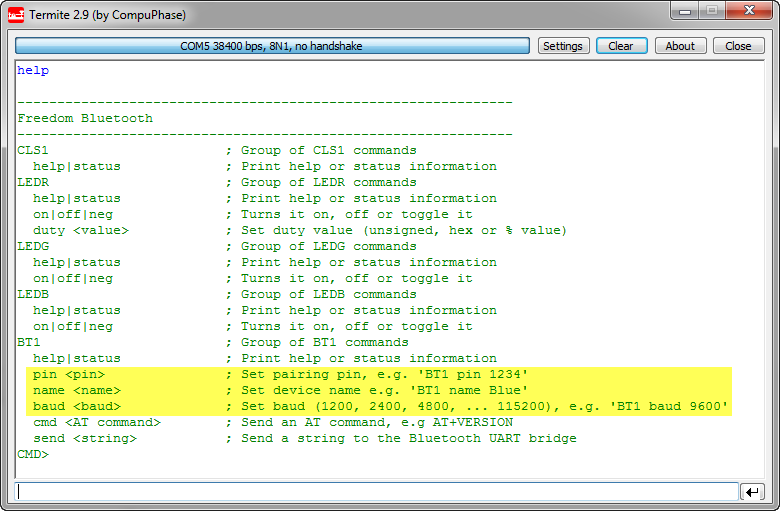 yes, the baud is only applied to the physical serial line, not for the USB communication. for a USB-CDC connection the baud is pretty much useless. Just read Allan and Tom’s comments. If I understand it, I should have a RS232 to TTL converter between my USB to RS232 converter and the HC-05 module because the HC-05 “talks” in TTL and not RS232? The HC-05 module does not use TTL (0-5V) levels, but 0-3.3V. RS-232 uses completely different voltage levels (3 to 15V and -3 to -15V, see http://en.wikipedia.org/wiki/RS-232), so they are not compatible. Your PC or RS-232-USB converter expects that different voltage, so if you want to connect the bluetooth module to your PC, then you need to use a level shifter like a Maxim 3232 or similar. The logic levels of 0-3.3V of the module are only to be used with something which has the same voltage levels, e.g. a microcontroller. Hi Erich, thanks for the answers. The daughter board which I bought with the HC-05 module mounted on it has such a MAX3232 level shifter (see ebay link above). I know that I was able to switch the board into AT mode, at least from the different blinking of the LED. I tried using different baud rates for the serial communication to the bluetooth module, no success. I made sure the TX and RX are correct, used different voltage levels (5.0 and 3.3 volts) for both the Vcc and the Key. I tried to reset the device using AT+RESET in case the transmission to the device was functioning correctly but not the reception from it. I have bought 3 of these devices and tested all, they give the same results. Btw, what is the tiny push button on the daughter boards for? Oh, I see, there *is* indeed a data sheet :-). What the ‘Key’ does depends on the firmware on the module. Many firmware are using it to get back into the ‘command’ mode. But not clear to me which firmware really is on this module. or NC= Bluetooth module normally working. I can confirm that a Maxim 3232 works like a charm with the HC-06 to provide an interface between a PC serial COM port and the HC-06, notwithstanding the discrepancy between the TTL and MCU voltages, as it handles the voltage range of 3.3 to 5V. I have just taken delivery of my Maxim board and am happily bluetoothing between my PC and my Android phone. I have also connected my Garmin GPS72, configured to report using NMEA at 4800 to my Android phone with this configuration. You don’t need a logic analyser. You do have to cross the TXD and RXD lines between the HC-06 and the Maxim. It’s taken me almost eight weeks to work this out, but success comes to the diligent! Sorry, but you are missing basic electrical skills and you did not rtfm. The HC-05/6 as well as all the other BT-modules from other suppliers provide a 3,3V digital logic interface. The guys using an arduino wire the 3,3V TxD/RxD signals of the arduino UART to the corresponding pins on the HC-05 module, the arduino provides a virtual COMport via USB to the connected PC/Laptop so there is no RS232 within that signal way to be used. That’s why you could not make a working connection… It is an electrical problem ! Use something like that and everything should be fine ;o). AHA!, at last some light in the wilderness. Silly me…When I did R TFM (extensively), the doco consistently (if slightly incoherently) referred to the HC-05 as a serial BT adapter, and from my software background, serial MEANS RS232! Nowhere did they say that the headers on the card talk TTL not RS232. I have discusses my problem extensively on forums and emails, I knew I was making a simple mistake, but no-one was smart enough to spot my confusion. The traps for young players trying to reach across technologies! Thanks Tom, so much for your clarification. hi..my project is to send the data using bluetooth module.is that possible if i want to connect hc-05 from PIC1 as a transmitter and hc-06 as a receiver at PIC2 ? I have a module (DAQ Module) to get data from strain gage in rotating sensor. The module use USB cable communication to my computer (It has Ft232 serial to Usb IC in its daughterboard). Now, I want to get the data via Bluetooth, and I already bought HC 05. Unfortunately, Because of the module architecture, I can’t get its rx tx to my HC 05. – Can I connect HC 05 via USB Protocol, instead of UART Serial Communication? – What should I do if I want to connect via USB protocol? Install another driver (in windows device manager)for my HC 05, or else? To my knowledge, only the SPI port (http://byron76.blogspot.ch/2011/09/upgrade-your-bluetooth-module.html) is active for the HC-05 module. I don’t think it is able to talk the USB protocol unless you have a different firmware on it. And if your module would indeed have the firmware for USB on it: which device class would it implement? Moreover, to connect it to USB, it would need the proper protection/etc which I do not see implemented on the module? So my thinking is that you cannot connect the module directly to USB: to connect it to USB you need to have a SCI-to-USB converter. Like that FT232 or simply use the FRDM-KL25Z board with an USB firmware to implement a USB-CDC bridge (https://mcuoneclipse.com/2012/10/07/tutorial-usb-cdc-with-the-kl25z-freedom-board/). Thank you for your kindness to answer me. My module is Emant 300. It is used to be connected to computer physically with usb cable, but actually communicate with the computer using UART. So that’s why there is converter of USB-TTL (FT232) in my module. I have tried to connect my module via usb cable, and it was detected (until now, it is, as long as i connect it via usb cable). In Windows Device Manager, its name is USB serial port (to proof it physically connect via usb cable, but talking with serial communication). It connected to my Labview, detected as emant 300 DAQ module. But now, I want to change usb cable with bluetooth HC 05. So i cut the usb cable, pin Dp and Dm to HC 05, and power it with power bank. But why the bluetooth can’t connect as USB Protocol? Are you saying that you connected Dp and Dm to the HC05 Rx/Tx pins? This for sure does not work: USB is using a completely different protocol than RS-232/SCI. Not only this, it is using different voltage levels too. Maybe the manufacturer must delete its spec about ‘can use usb protocol v. 1,1’ . They does not have the explanation about that (and make me confused). HC 05 Users in internet don’t talk about this too, so it’s hard to find any clue about usb protocol over bluetooth on it. what happens suppose bimistake gnd connection is removed or missed..
Then the module will not work I suppose. qual é o Ci utilizado no Modulo bluetooth v1.05? Could you ask that question in English? What is the Ci Used in Module v1.05 Bluetooth? Not sure what you mean with that ‘Ci’? So I got the Hc-06 module,put it on a breadboard,powered it up,paired it with my pc.Then I used Teraterm to open a connection to it,which it did(the red light stayed continuously on),entered in the command “AT” but I got no response back. you only can send AT commands from the microcontroller connected to the HC-06 module, not ‘over the air’. Once the LED of the module is on, it is in transparent mode, means it is sending the text over the air ‘as is’, and the module does *not* accept any commands. Ah ok,so the only way I would be able to see data on teraterm/hyperterminal would be to connect the HC-06 to a micro,then have the micro send data out to the HC-06 which would transmit that to the paired pc which could be viewed on Teraterm,would that be correct? A great and interesting article on the bluetooth modules..!! And I must say, your comments section is full of lost of additional info..!! I would like to ask help for my small problem with the HC-06 module, which seems similar to Tom. 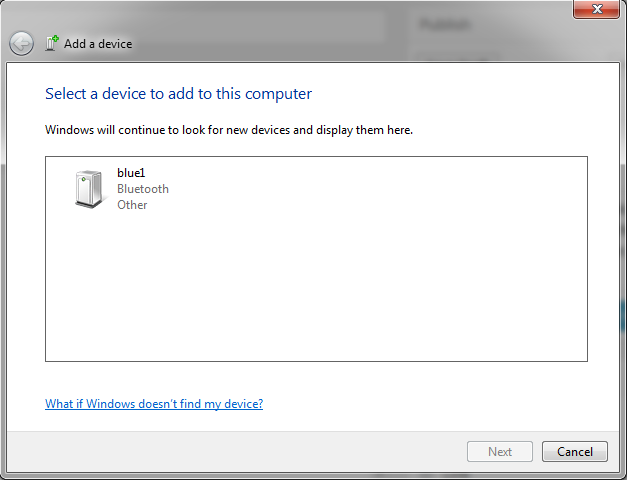 I’m on Vista with the default bluetooth stack/drivers. I have a cheap bluetooth dongle adapter as my laptop doesn’t have native BT hardware. I have followed the numerous procedures for paring-powerup-power cycle-unplug replug device- etc etc, but none seem to get the hc-06 to connect with my PC. The computer sees the BT device fine, it seemingly pairs. 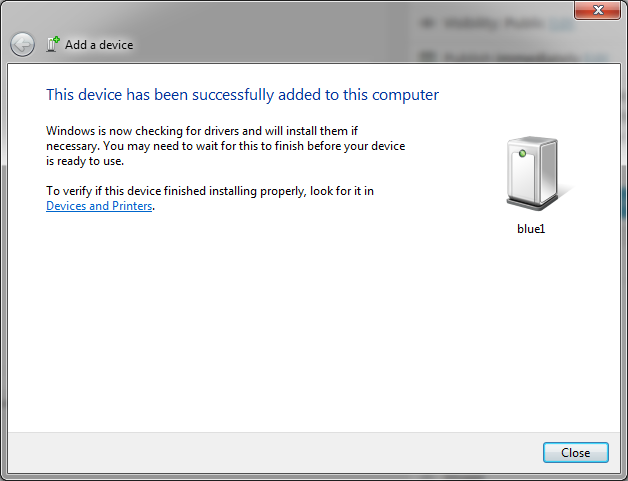 Atleast the windows dialog box shows that and device drivers are installed. I can also see the com ports in device properties and in device manager. But the status LED on the module keeps blinking indicating AT mode and never goes solid on. The serial port shows up in the services tab of the BT device properties, but when I try to connect to the serial port in any terminal emulator (I tried a few of them to be sure), it either stops responding or tells port not found or closed etc. Checking the services tab again afterwards confirms this (the serial port has disappeared from the list momentarily). If I unpair / repair / power cycle the module, same thing happens over again. There doesn’t seem to be anything wrong with the module itself, as I can pair it with 2 separate smart-phones. Everything works correctly as I can see serial data coming in from the microcontroller, and also issue commands to the microcontroller over BT. About your problem: just installing the drivers on the host will not change the blinking LED. The blinking LED only gets permanently on once you have a connection to the module with a terminal program. The fact that your terminal emulator stops responding indicates to me that you might be using the wrong COM port? At least I have the same on my machine (which has a native BT module). Pay attention that there are multiple USB COM ports installed by the driver, but only one works (the one which is listed in the properties of the device driver, https://mcuoneclipse.files.wordpress.com/2013/06/device-services.png?w=584). So can you make sure you connect to the proper COM port with your terminal program? Thanks for your prompt help..!! I am sure I am using the correct port in the terminal emulator. The HC-06 enumerates with 2 ports, only one is available in SPP mode and thats the one I use to connect. Here is some more surprising behavior I came across. 1. Firstly, “sometimes” I am able to successfully connect and send-receive data..!! 2. But then majority of the times, it refuses to connect after paring. When that happens, LED is blinking, terminal emulator reports port closed or stops responding, and SPP device disappears from the Bluetooth device properties. 3. I then have to remove device, power-cycle HC-06 module, re-pair and try to re-connect again. But 90% of the times it never works. I just get plain lucky the remaining 10% times, and proceed with my actual work. 4. I may get going again after a restart of the PC, but that also is not consistent. Yesterday I tried installing other BT drivers PC side, but of no use. 5. Also, all these times I keep checking the module functionality periodically, by successfully pairing and connecting with an android smart phone, which works as expected. I strongly feel its the PC side BT stack which is messing things up. Can you suggest something here..?? yes, this could be a PC BT stack issue too. 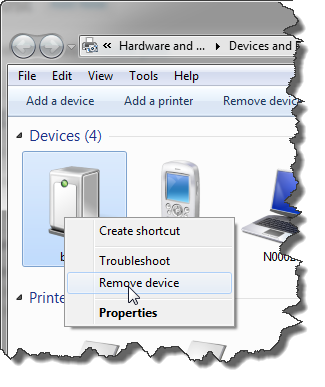 You might try to uninstall the device driver for it in the device manager, maybe this helps. But not sure. I’m using Windows 7 64bit, so I’m not sure if this is a Windows 8.x issue? I can tell that on my machine it shows two different COM ports, but only one is working. Using the other COM port fails. Maybe you have two COM ports listed too and you are using the wrong one? Just a guess. it may be a Win8.x issue yes..
I’m used to deal with BT Virtual serial ports on windows (with other chips, not Low Energy), i know about the 2 COM ports creation and that only one is ok.
On a smartphone, this works just fine. I have bought an HC-05 mounted on a daughter board that allows me to communicate in RS232 with the module instead of TTL (it has the MAX3232 chip). I use the module to communicate between a PC and a motion controller (Elmo) in RS232. I was able to change the communication parameters to suit me (baud rate, flow control and parity). I was able to establish a connection with the controller through the software that was delivered with it. Only I noticed that the connection is very unstable: I am either unable to establish a connection at the first attempt or the connection drops after between 5 and 60 seconds. I decided to analyze the communication between the PC and the controller by using Termite. I look at what is transmitted by the PC when a connection is attempted and what the controller responds. I noticed that the connection fails or drops when the controller’s response contains errors. These are sorts of typos in the answers from the controller. Do you think this could come from the module ? Or does it look more like noise, or a bad connection to earth level ? Any ideas ? I would first verify the power connection to the module. Is it within specs? 5V? Then: maybe the UART connection from the microcontrolle is the problem: if your clock is drifting, or not stable enough, you will get garbage on the serial line. you would need to check this with a scope or logic analyzer. And you might need to use a lower baud rate (I use all my modules with the default baud rate of 9600 or 38400 (depends on module)). I use a USB port for the 5V supply, just for convenience. Maybe this is not the best thing to do. I will have a try with my DC controlled power supply instead. I do not have a logic analyzer available but will look for one in case this does not fix the problem. Also, I had the module set to a baud rate of 115200 since this is the default baud of the controller. I have now lowered it back to 9600 and at first sight, the connection looks more stable than before. It will need some more testing but it looks better already! can i have 2 live bluetooth devices connected with the HC 05/06 at the same time? No, you only can have one connection at a time. 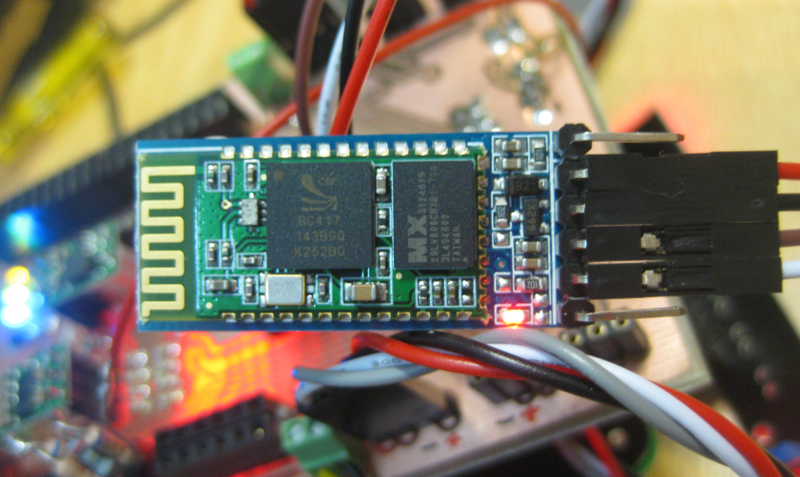 You need to use a microcontroller board (like the FRDM-KL25Z I used) to regain access to the module. 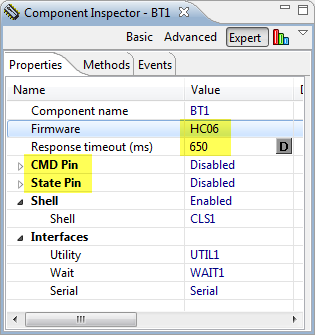 try with the microcontroller all defined baud rates of the module, and use a logic analyzer to inspect the result. Then you should be able to recover the module. I’m affraid, that without a logic analyzer, you will not be able to go far in your development and programming. A logic analyzer is as important as your screen for programming: without it, you cannot see what is going on. Ok, thanks 🙂 I ordered a logic analyzer… But what are the steps in repairing my BT? You need so inspect the signals you send on the Tx line and what you receive on the Rx line. I hope you logic analyzer has an serial/RS-232 protocol interpreter? can you provide coding for senting signal via bluetooth module from adriuno to antroid phone. input can be signal from a pushbutton. like notification in phone wenever the button is pushed . d) it is up to you what you do with this message on the Android side. Have you tried working with it at a baud rate of 1382400? No, I have not. Actually this might be very dangerous as if you set it to that mode, you might not be able to re-configure it from a PC host machine. 1. What is the microcontroller that you recommend it for this job?? 2. Is this process possible and easy for 100 (or more) slaves and one master?? 3. 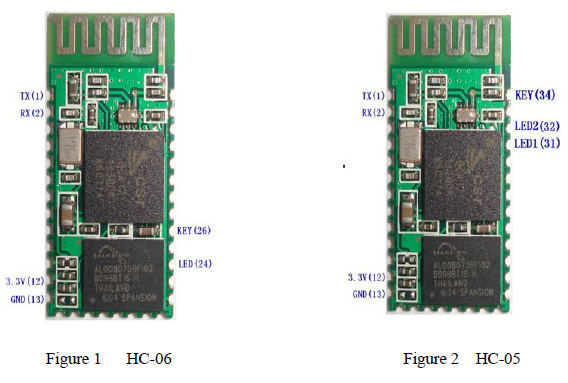 On what version is the HC-05 Bluetooth Module work?? 1. You can use pretty much any microcontroller which has a SCI/UART. I’m using the Freescale Kinetis KL family for most of my projects, like the one in this post (FRDM-KL25Z). 2. I have not used such a configuration, but for sure the master will be limited in the number of connections it can maintain. I think 100 is far too much. Probably you can have only up to 8 connections. 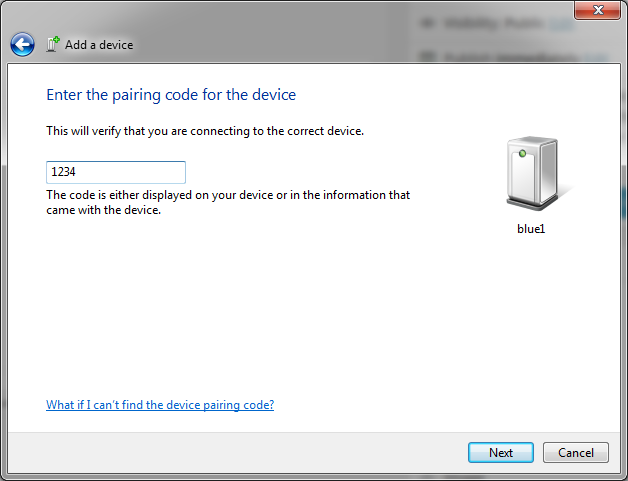 This might be specified in the Bluetooth standard. 3. Not sure about this question? I have not used the HC05 in master mode. Thank you very much Erich .. my last question is about the Bluetooth versions (like in mobile phone) from version 1.0 to 4.2 currently and you know them certainly … Is any Bluetooth module limit me in a specific version ? I’m sorry, I cannot answer that. You would have to read the Bluetooth consortium specification about such things. Thanks for the very useful write up. I am currently, stuck at a problem – I have an HC-05 and configure it to be a slave in serial profile. However, the module that is feeding the data to HC-05 (to be transmitted) does NOT send a newline character (“\n”) at the end of its payload. As a result, the HC-05 does not transmit the data! Do you think there might be a way around this – if I needed to, could I update the firmware on HC-05 to support this? Or maybe the HC-06 does not wait for a newline character before transmitting and I could shift to an HC-06? Yes, I would use a small microcontroller to make that conversion too. I am trying to make communication between two Uno boards via HC-05 .. I have established the connection between them n hc05 are paired properly. But when I send the data from any of the device it display the garbage value. Plz help me out so that I can make proper transfer of data. Have you checked the communciation between the HC05 and the micrcontroller with a logic analyzer? Are the signals and bytes transmitted looking good? I could not find any answer to this problem – is there a delay of HC-06 from receiving to sending or vice versa ? I didnot changed any AT command regarding baud rate – is not HC-06 9600 8N1 by default ? – make sure you have RX/TX lines correctly connected: maybe you have mixed them up? – the default firmware on my HC-06 module is using 9600 baud. BUT: it could be that you have one with a different firmware. – use a logic analyzer to see what the module response is (if any). You might try with different baud rates too. – have you debugged the code on the STM32? I fear you are using ‘LED debugging’ only which will not help you much. Use a debugger to see if you really receive data properly. 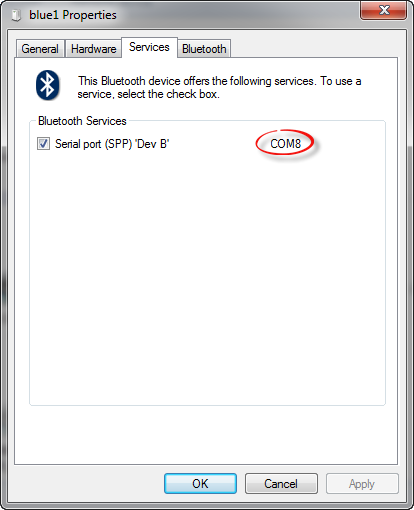 – you say you have COM8, COM9 and COM10: make sure you use that port listed in the Bluetooth driver properties on your PC as outlined in this blog post. – You can change the baud rate of the module, but only if you have a working connection to the bluetooth module. What I was hoping I could use the terminal for was to view the data that must be getting sent over bluetooth the torquepro apk. I have every terminal program available and would like to see the data if it is possilbe otherwise please advise and will have to find another solution for marine state of charge guages for windows computers. hi guys how can one configure the hc06 to connect to two devices at the same time?….why because i want is to get data from someone on his cellphone while i’m also connected with my cellphone.i’m trying to build a smart fan that can be controlled via Bluetooth. To my knowledge this is not possible. Can the hc-05 connect to two devices at the same time?…..
no, that’s not possible with the default firmware on the HC-05. m trying to do home automation via android phone based on bluetooth connectivity.. i want to know if its possible that an android app is controlling a bluetooth module in a room, then that module is again controlling another module present in another module? basically.. a connection flow from a android app to HC06 then to HC05. ( cascade/series just to increase range). The HC-06 only can make a single connection. So I think what you are asking for is not possible. I understand this has a processor onboard with limited rom space for code. I want to use one of these to trigger a relay when it senses my cell phone in proximity. The end result is to unlock my door. Anyone have information and code for this ?? I’m not sure if this is easily possible, I have not done that.